Ready to kick start your body into cleansing mode and get back on track with your wellness regimen? Done properly, a juice cleanse offers great benefits for your mind and body, and could be your express ticket to wellness. Well Pared juice cleanses are designed to support the detox process by freeing energy – ultimately allowing your body to detox the buildup of toxins caused by everyday life. 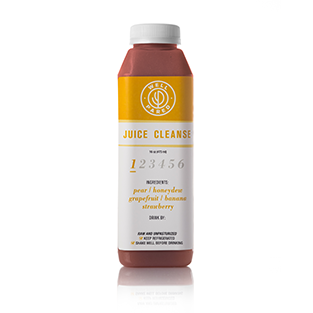 Our juice cleanses help you find balance as you reset, renew and revitalize your digestive system. Packed with antioxidants and essential nutrients, our Classic Cleanse is designed to help you ditch sugar cravings and inspire healthier eating habits. You will receive six 16 oz bottles filled with our unique vegetable and fruit juice recipes along with a nut milk. Throughout the day, you will consume one juice approximately every 2 hours, in the specified order (1 to 6). Remember to drink plenty of water throughout the day to further support the flushing of your digestive system. New to cleansing? Kick start healthier eating habits with our mini juice cleanse - designed to be consumed with a light vegetable based dinner. You will receive five 8 oz bottles filled with our unique, all green vegetable and fruit juice recipes. Through the day, you will consume one juice approximately every 2 hours, in the specified order (1-5). Remember to drink plenty of water throughout the day and after dinner to further support the flushing of your digestive system. Let's Cleanse! Done properly, a juice cleanse offers great benefits for your mind and body, and could be your express ticket to wellness. 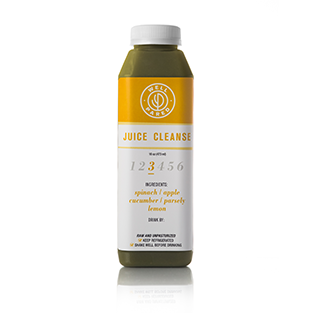 Our juice cleanses have one main goal - to help you ditch negative eating habits that might be holding you back by filling your body with essential vitamins and nutrients. 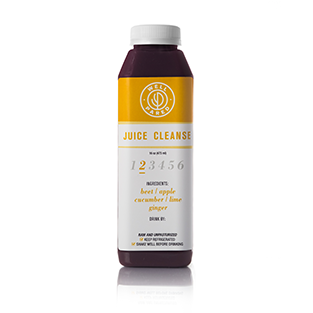 Cleanse length depends on individual goals, a juice cleanse is commonly done from one to ten days with three and five-day juice cleanses being the most popular options. Whether you pick the 1-day Reset, the Complete 3-day or the Ultimate 5-day juice cleanse, simply follow the numbers to cleanse your way to a healthier you! Preparation is key to enjoying a great juice cleanse! We recommend that you begin preparing at least two days prior to cleansing. Preparation allows your body to slowly ease itself into cleansing, and will help decreases the chance of side effects. You can find more specific guidelines based on your individual needs on our FAQ page. Q: What Is A Juice Cleanse? A: A juice cleanse replaces meals with juice, eliminating your body’s burden of breaking down food and freeing energy to help support the detox process. Every day we consume toxins, pollutants, pesticides, antibiotic residues, and chemicals from our food and environment. Add to this, refined carbohydrates, saturated fats, processed foods and alcohol, it’s no wonder we are often left feeling irritable, bloated and run-down. Although our bodies naturally detoxify themselves on a daily basis through the gut, kidneys, skin, liver and lungs, a juice cleanse can help further support this process. Simply put, you’ll regain energy, sleep better, feel lighter, and think clearer! Q: How Does A Cleanse Work? 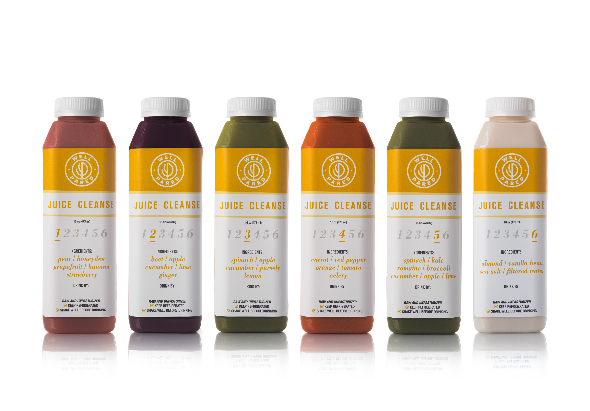 A: On a Well Pared Juice Cleanse, you will receive five to six bottles per day, each filled with our unique blends of vegetable and fruit juices. Throughout the day, you will consume one drink approximately every 2 hours, in the specified order (1 to 5 or 1 to 6). Remember to drink plenty of water throughout the day to further support the flushing of your digestive system. Q: Which Cleanse Is Right For Me? A: With the goal of fulfilling your individual needs, we offer two different cleanse options. The Classic Cleanse is packed with antioxidants and essential nutrients, and is designed to help you ditch sugar cravings and inspire healthier eating habits – it is perfect for beginner and regular cleansers alike. 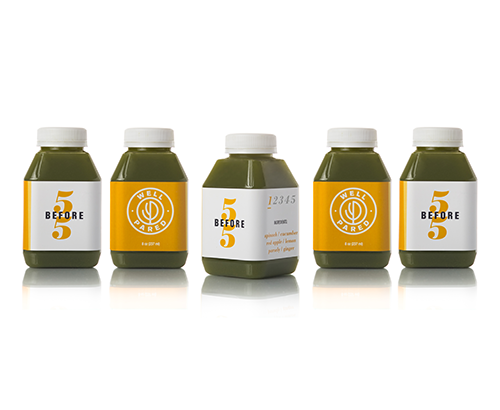 The 5Before5 Cleanse is intended for serious green juice lovers. This is our lowest glycemic cleanse (i.e. : less sugar) option. If this is your first cleanse or you do not have an affinity to green tasting juices, we recommend trying our Classic Cleanse instead. Q: How Long Should My Juice Cleanse Be? A: Cleanse length depends on your individual goals, since the digestive system is not working to break down food while on a juice cleanse, benefits may be achieved more quickly than with other types of cleanse and detox programs. A juice cleanse is commonly done from one to ten days with a three-day juice cleanse and five-day juice cleanse being the most popular options. Whether you pick the 1-day Reset, the Complete 3-day or the Ultimate 5-day juice cleanse, simply follow the numbers to cleanse your way to a healthier and happier you! Q: How Do I Store My Juice Cleanse? A: Well Pared Cleanses must be kept cold at all times, refrigerate all bottles until you are ready to enjoy them. Q: Can I Eat or Drink Anything During My Cleanse? A: The cleansing process ideally eliminates whole foods, eliminating your body’s burden of breaking down food. However, the cleaning process is different for everyone. If you feel you need to eat, then please do – just make sure to eat clean, raw foods. If you choose our 5Before5 Cleanse, you will also consume a light vegetable based dinner. Remember to drink plenty of water to support cleansing or enjoy herbal tea for added antioxidants. Q: Can I Still Workout While Cleansing? A: If you want to cleanse deeply, we strongly suggest resting at least one whole day during your cleanse. If you are choose to workout while cleansing, we suggest you supplement your cleanse with additional protein drinks. Q: How Should I Prepare For My Juice Cleanse? A: Hydrate : Drinking water is also an important first step in preparing for your juice cleanse because it transports nutrients to your cells. Dehydration is also commonly mistaken for hunger, so drink more water to help eliminate false hunger. Cut Back On Caffeine : For best results while cleansing, we want to bring your body into a more alkaline state. If you typically enjoy coffee or drink soda, take measures to wean off of these highly before your cleanse. If cutting coffee out of your diet is not a personal goal, it is not essential to completely eliminate it during your cleanse. As a solution, you may opt to drink a low-acid, cold-brew coffee, or transition to a caffeinated tea as a way to still get a bit of caffeine without disrupting your alkaline state. Eat and Drink More Fruits and Vegetables : Up the nutrients! Aim to eat as “plant-based” as possible – meaning no meat, no eggs, or dairy products. Cut Back On Animal Products : Animal products place a higher demand on your digestive system than plant-based foods do. Cutting back on animal products before your cleanse will help ease the burden on your digestive system allowing your body to really focus on cleansing once you begin your juice cleanse. Eliminate Processed Foods : Read those labels! If you can’t pronounce the ingredient and do not know what it is, chance are your body will not know how to break it down. The sooner you can eliminate processed foods from your diet, the better! Q: You've Finished Your Cleanse, Now What? A: Congratulations Wellness Seeker, You made it! Similarly to pre-cleanse preparation, we recommend that you ease your body back into eating solid foods. Start with steamed vegetables and fresh fruits and slowly reintroduce healthy nuts and other sources of protein – pay close attention to how each food group makes you feel. Continuing to eat as “plant-based” as possible will also help lengthen the results of your cleanse. Don’t be surprise if you find yourself craving more vegetables and fresh juice!